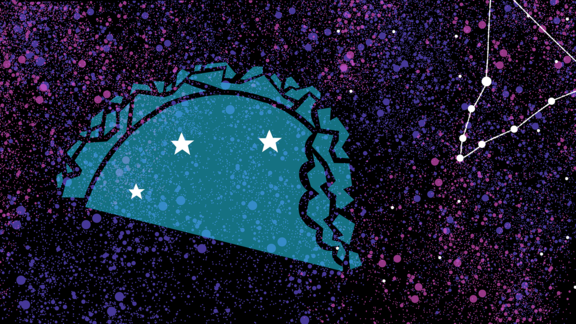 Want your monthly horoscope and a drive-by guide to the best taco finds in Texas? ONE STOP SHOP, right here. To see how Chef Chris Patrick of Abacus in Dallas creates mouth-watering tacos with the best brisket in Texas, plus all the Texas-infused beef know-how you'd ever need, head on over to Medium Rare—brought to you in collaboration with Beef Loving Texans! What's your meat MO? Your starch style?! The 411 on your favorite smoking wood—mesquite. Life is basically a big ol' bingo board, anyway. Chef Hugo Ortega breaks down one of the many sauces he's become known for. Trick or treat doesn't even BEGIN to cover it.